Most sailors aspire to own a brand-new boat, but the rising cost of boat ownership can make that dream seem out of reach. The good news is that the charter business has also ballooned in the last decade. And the charter companies need boats to put into their fleets, especially as the companies rebuild their Caribbean fleets following the devastation left behind after the recent hurricane season. have the time and money to travel to different charter sailing destinations, you can make the most of charter boat ownership. For others, who are thinking of a sailing sabbatical or retiring to a liveaboard situation, buying a boat and putting it into charter can offset the initial cost of the boat. Charter boat ownership programs work by having owners buy the boat, often with financing through a third-party financier partnered with the charter operator, and then it goes into a charter fleet’s yacht management program. Companies like Sunsail, The Moorings and Dream Yacht Charters, have bases all over the world. Others such as TMM Yacht Charters specialize in one area such as the BVI. Most expenses such as dockage, maintenance and operating expenses are handled by the company. Owners are allowed a certain number of weeks to use their boat, or like a time share, use that time aboard other similar boats in different locations to experience new sailing destinations at no cost. At the end of the ownership agreement, often around five years, you can either keep your boat, trade it in on a new model or sell it through a brokerage firm associated with charter company. If you are considering buying a boat for the charter fleet, the first step is to climb aboard and talk to company representatives, and a good place is an in-water boat show. Many companies bring brand new models to shows such as Miami Strictly Sail and the U.S. Sailboat Show in Annapolis, Maryland, and will have brochures and information to help you decide if this option is for you. The large charter companies have arrangements with different manufacturers, and if you have your heart set on particular brand of boat, you’ll have to work with the charter company that offers it. These larger companies also have more standardized fleets, with specific models from which to choose from. For instance, The Moorings 38.2 is a Beneteau Oceanis 38 fitted out to The Moorings specifications, while the Sunsail 38 is a Jeanneau 38 built to Sunsail’s specifications. Both companies’ multihulls are manufactured by Leopard Catamarans. 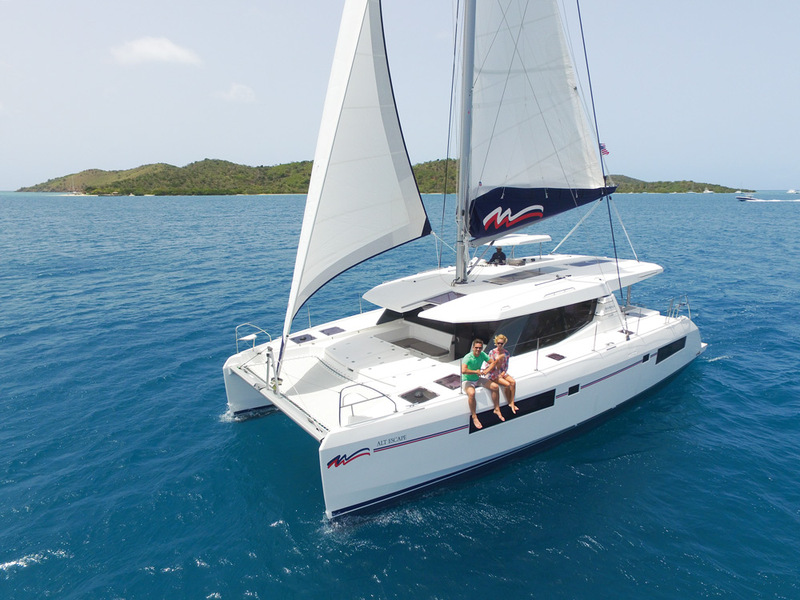 “We also upgrade our boats to an established charter specifications, so the boat the customer is buying has more options and features than would be found on the stock model,” said Steve Long, yacht sales manager for Sunsail and The Moorings. Both companies yacht ownership programs are operated the same way, so it will come down to a choice of boat and location for which it is available. 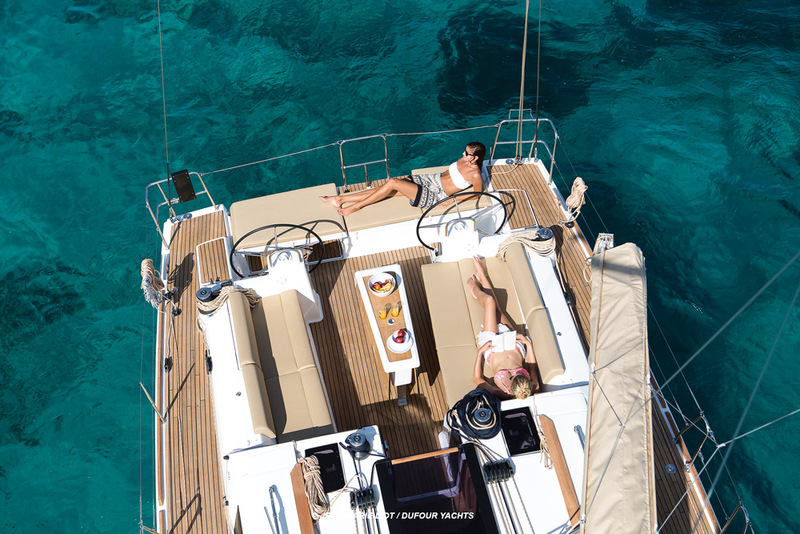 Dream Yacht Charters offers a wide variety of boats, including Beneteau, Jeanneau, Dufour, Bavaria monohulls and Bali, Catana, Lagoon, Fountaine Pajot and Nautitech catamarans. This company also has six different yacht management programs. Each company structures their ownership agreements differently, so it’s worth analyzing the pros and cons of each when deciding which company to work with. You will of course have to buy the boat, and in some cases, financing is available through third-party sources associated with the company. You will also have to pay the registration fee. Usually, tenders and outboards are not included in the price because tenders have a bit of a rough life in the charter business. As a result, the local bases maintain a rotating fleet of dinghies to ensure they are workable at the time of charter. In the case of smaller companies, the cost of insurance and fees associated with maintenance, dockage and upkeep are billed to you monthly. This cost is offset by higher on return charter fees if your boat is booked frequently though the charter season. In a popular destination such as the BVI, you could even see a large profit.